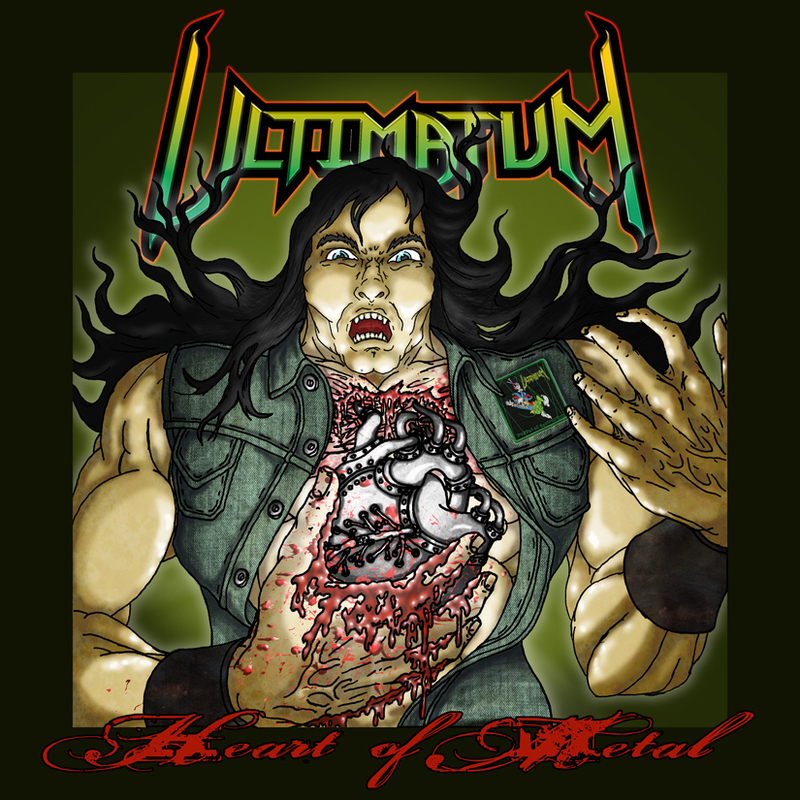 Ultimatum have been hard at work in the studio recording 4 brand new tracks which are scheduled to be a part of the band’s 20th Anniversary release entitled ‘Heart of Metal – 20 Years of Ultimatum’. The remainder of the tracks are set to be a selection of greatest hits selected from the band’s back catalog as voted on by their fans. Ultimaniacs will be happy to know that they can help the band with their recording costs and the label to produce a very special box set! We will be producing and pre-selling a hand numbered, black glossy print, silver embossed box set that will be hand numbered 1 through 100. Only 100 of this box will ever be made, never to be produced again! No gimmicks, no quotas to meet, you pre-order it you will get it! But wait! There is more! Everyone that gets in on the box set preorder WILL win one of the many pieces of Ultimatum memorabilia donated by the band! All those true Ultimaniacs will be entered in to this very special drawing where we will be giving away many items from the bands personal archives, including Rob Whitlock’s BC Rich Warlock bass guitar, Scott Waters’ custom embroidered satin scarf off his mic stand, signed drum heads and drum sticks, shirts, posters and more! Every one that gets in on this box set pre-order WILL win a prize! And by purchasing this box set you will in turn be helping the band and label fund this project! And there won’t be a long wait. This special box set is already in production and will be delivered before the official CD release which is schedule for October 30th 2012! Again there will only be 100 of this specially printed box set ever produced, so get your preorder in now before they are gone forever! Also a BIG thank you goes out to Dave Besanson for developing the new artwork for us! This box set will be a strictly limited edition of 100 copies and will be hand-numbered. Once they are gone, they are gone! The special items represented in this box set will NOT be made available individually they will only be available as a part of the Roxx Boxx! In addition to all of this and in effort to try and raise some funds for a worthy cause Ultimatum and Roxx Records will be auctioning off Box #1 in a very special eBay auction! The winner of this auction will receive Roxx Boxx # 1 / 100 in addition to a thrash fest of some of your favorite thrash releases from Ultimatum and the Roxx Records back catalog. So join us in celebrating 20 years of Ultimatum and pick up the Roxx Boxx set or the CD Edition of ‘Heart of Metal – 20 Years of Ultimatum’ Visit www.roxxproductions.com for full details and ordering information.